Gorgeous custom made gown! A fully covered design with 3/4 illusion sleeves and modest bateau neckline. Intricate handmade beading across the bodice gives an elegant accent to the effortless silhouette. 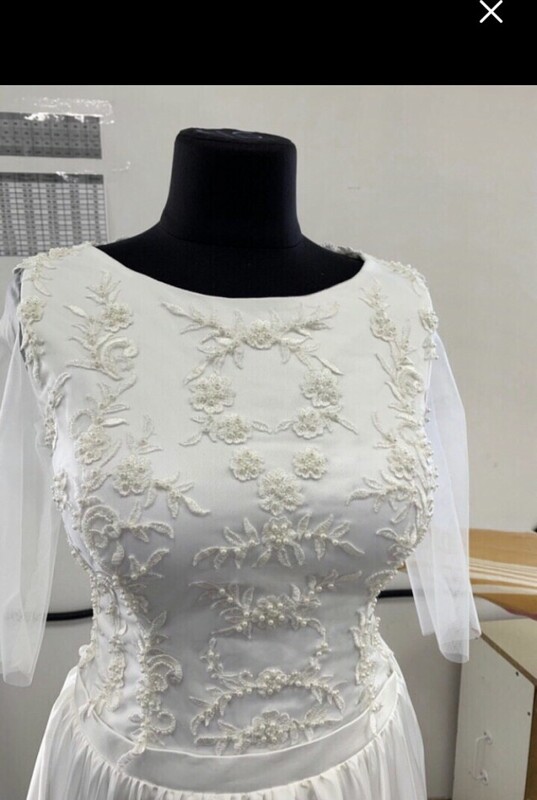 The dress is made in ivory color with white/ivory beading. A detachable silk train is included. The quality and attention to detail are not done justice by the pictures. It is the only one of its kind. Once you send a message, Wendy can invite you to purchase the dress.